As Helen Keller once quoted – “Life is either a great adventure or nothing.” There is always something extraordinary that can give you a new high in life and add some adventure. For the love of travel and places across the globe, here are 11 concrete reasons to mark Thailand as the next place to visit on your checklist to satisfy your wanderlust! If November is calling you for your next trip, this is one of the best reasons to watch out for! 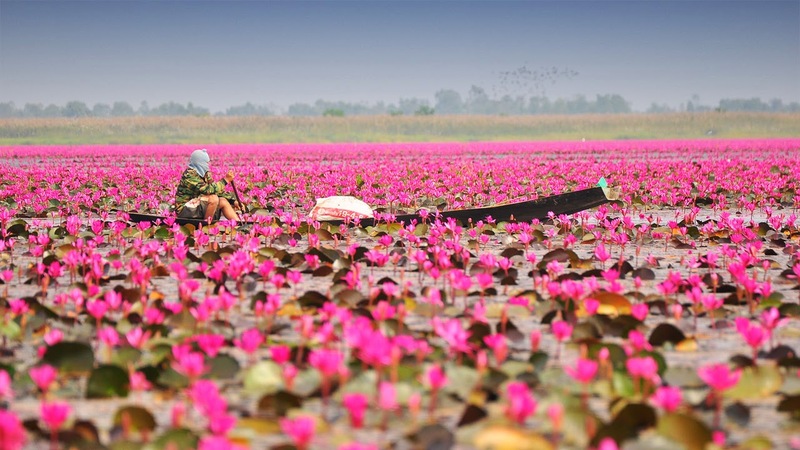 In Udon Thani, Red Lotus Lake flourishes into a commotion of crimson lotus blooms. A 13 Km long lake that gives a beautiful sight for the travellers and tourists. If you travel not to escape life, but for, life not to escape from you, being here is a must to see such a scenic view of world’s prettiest lakes. If you love street food, some road side stalls serve some of the Thailand’s spiciest, tangiest tom yum soups that you would instantly fall for! Some of these include fresh lemongrass, kaffir lime leaves and galangal. 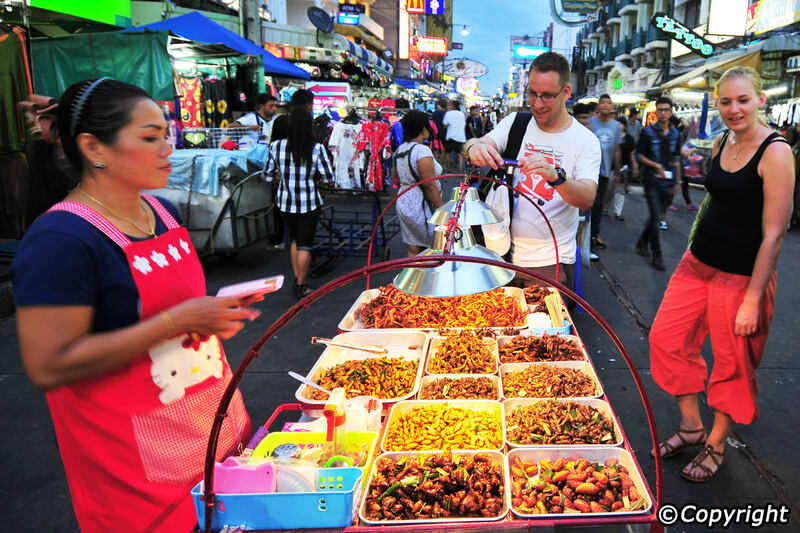 While a few street vendors may even surprise with a combination of rice and spicy stir-fried crab meat along with a small bunch of fresh yellow chillies. One of our favourites – The beach football! If you feel you are good at this, there’s no better way to make friends in Thailand but this! 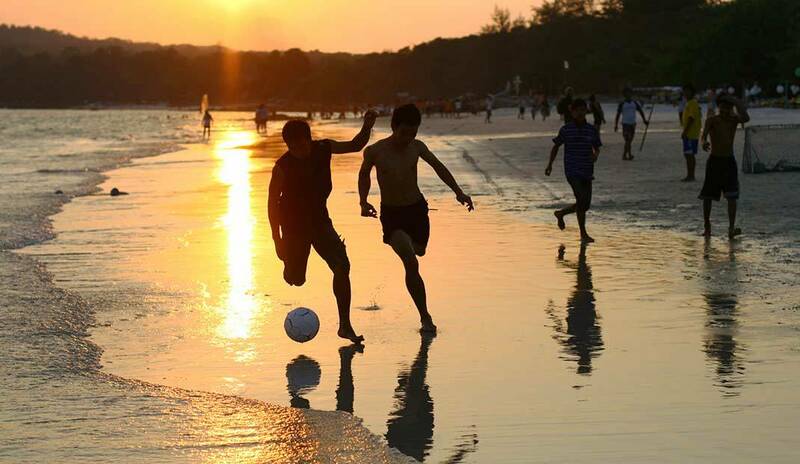 Strike up for a sunset game of beach football with the locals and you are all set for the blast and so much fun! And, in case you haven’t tried it yet, arriving a little early in the evening can give you the most scenic matches and a huge collection of memories. 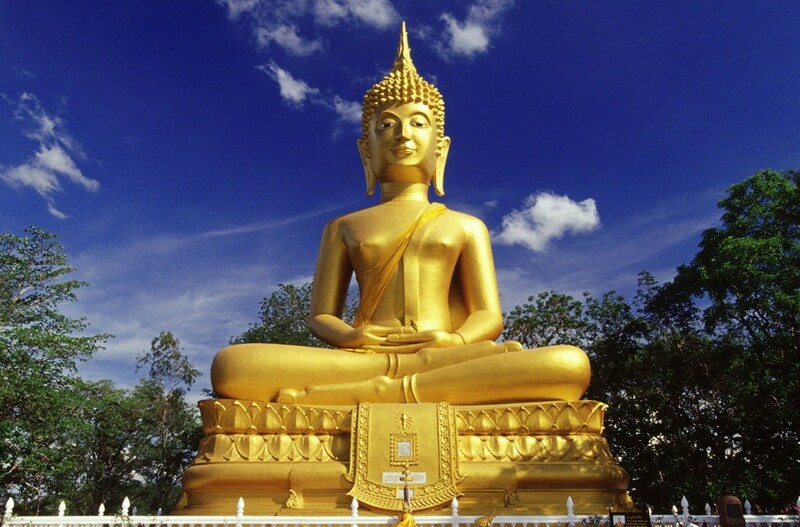 Thailand is completely filled with a variety of Buddha statues, ranging from sitting, lying down or standing, there’s all of it right here in this nation! These gleaming Buddha Statues in different sizes and shapes are everything you will ever relate to Thailand in the future. In fact, some of these are emerald statues which are literally, a treat for the eyes. 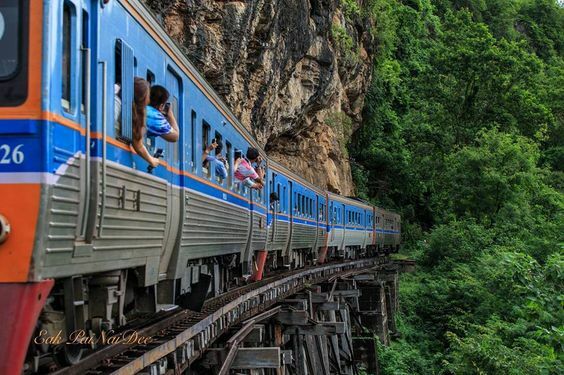 If you think little amount of money cannot give you immense happiness, then a train ride in Thailand is a must try! It is all you need for a fantastic scenery view and lovely ride experience in Thailand. The route you cannot miss out on is the Butterworth route that is particularly recommended by many, owing to the beautiful sight of waterlogged paddy fields as you pass through. Also, these rides may not bother you with the ticket price tag as well. Anyone who is fond of partying, these beach bars will blog up your mind with their swanky drinks. 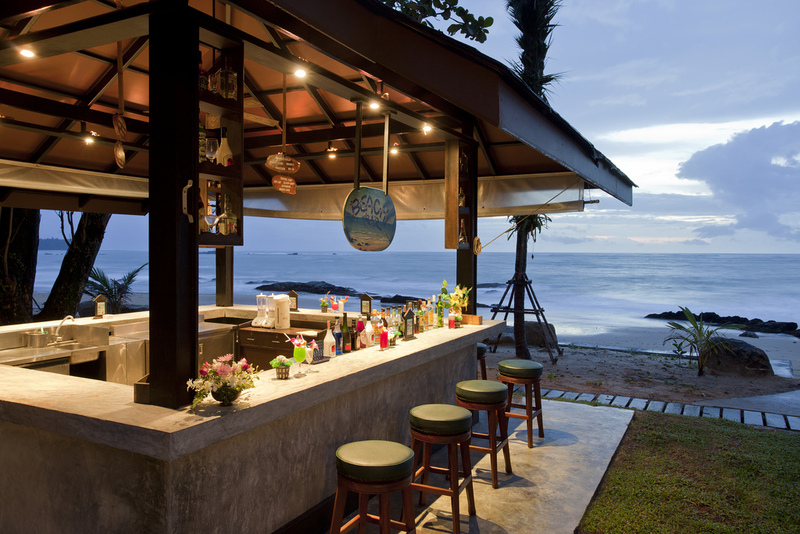 For the ones looking for a reason to holiday in Thailand, these beach bars are the catch to make your holiday with offerings of a multitude of options. You can sip some cocktails and dance to the music, groove all night and frame some memorable moments on your holiday in Thailand. 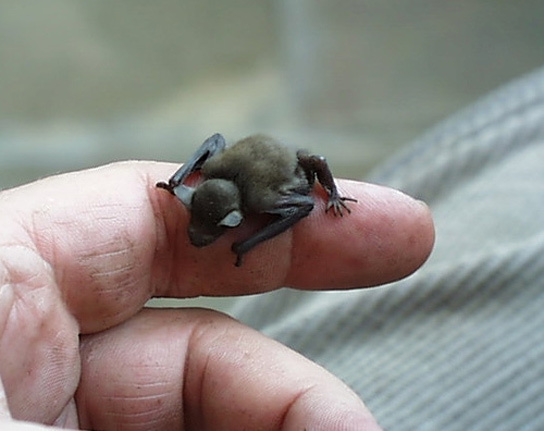 Kitti’s hog-nosed bat is considered to be the smallest mammal in the world as it weighs just two grams. This unique mammal is found in western Thailand – in limestone caves in the small Tenasserism Hills in the region of the Kanchanaburi Province to be specific. The fact that this species is listed as the ‘vulnerable’ one due to the declining population is another reason to look for it in Thailand. Ever imagined enjoying a cup of tea suspended from the tree, 15 feet above the ground? 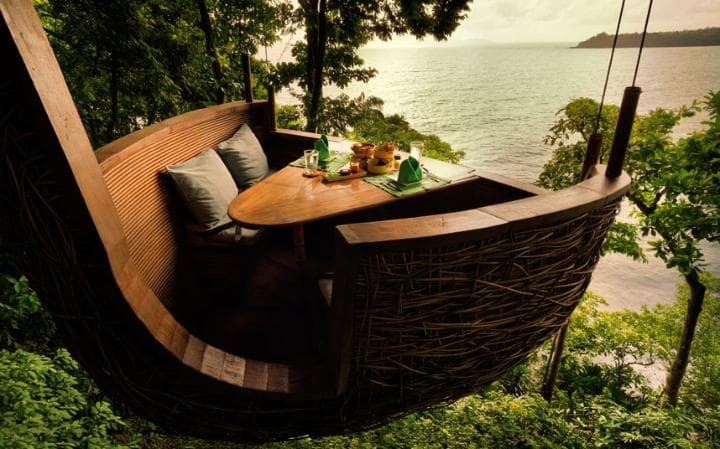 Well, that’s exactly why this popular ‘Treepod dining’ idea or serving the guests with tea in the treetops is a definite option to try when in Thailand. A treetop treat in the jungle on an island of Thailand is surely an experience worth the visit and to brag about. 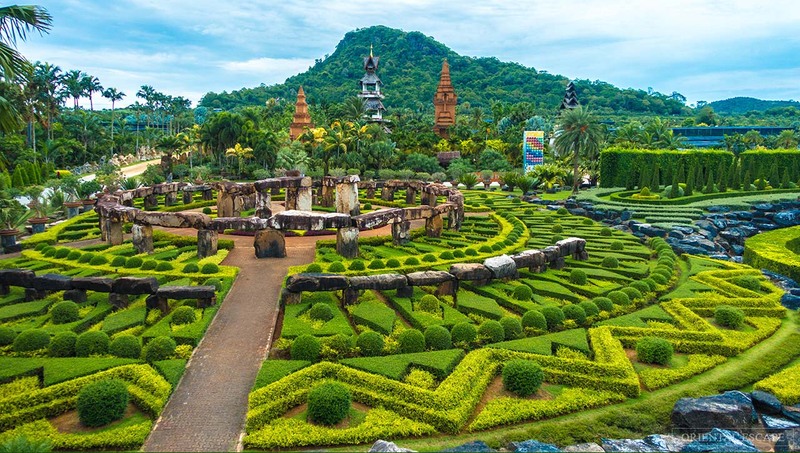 If visiting a fairy tale like sight or a garden has been on your to do list for long, Suan Nong Nooch in Pattaya is the place to be. A world of ornamental flowers, tropical plants, beautiful houses and plantations is merely a part of what awaits the traveller in you. Street shopping in Bangkok is an absolute experience for every shopping freak and is beyond comparison. Jaw-dropping styles of clothing, upmarket bargains, wonderfully designed suits, shorts & dresses are all you would always want to add to your wardrobes. If you are one among the savvy shoppers, Bangkok is where need to be. So when are you flying to Thailand?